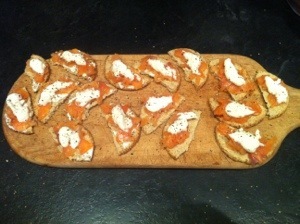 I’ve just made these. 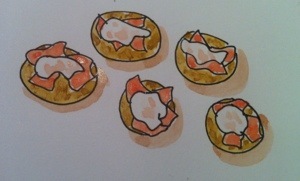 I wanted them to be on small round biscuits, so drew them like this. They look very attractive in real life, so I was aiming to try and recreate that, but it’s difficult! Yummy! If you look at the videos of Simon draws cats etc, he puts a few lines to indicate the ground they’re standing on. Good idea?